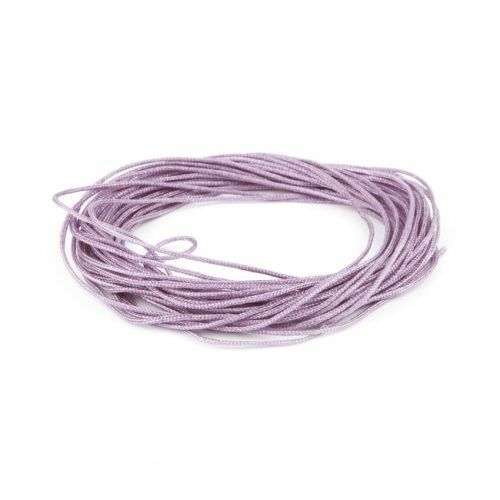 Beautiful delicate designs can be made with this satin cord in lilac. This cord is ideal for those beads with small threading holes and will look perfect with some silver charms and beads. It’s super soft and easy to work with too, as well as having a hit of shimmer which makes the cord look extra special. Add any coloured beads you like, with this cord, you're sure to make a statement. Sold in a 5 metre length.